Welcome back for Day 6, if you are just arriving for the first time all the details and the linkup can found HERE. Today I have Serendipity Stamps and some of their designers as my guests. Serendipity is a sponsor for this event offering a $20 gift certificate for their online store. Thank you for the inspiration, everybody. These are all so beautiful! I love the sentiment on the red ornament tag! Thank you for sharing! Another round of absolute gorgeousness and inspiration, Tracey! Serendipity is new to me...heading over for a look! Another great variety of inspiration! My favorite is the tag with the sparkly house. So fun. I love all of the tags today. 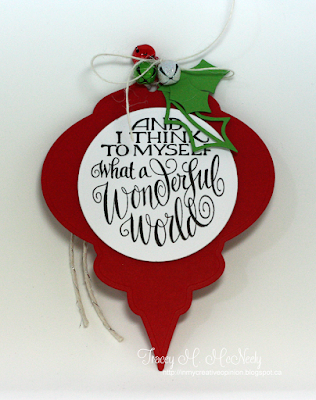 Never thought of using the wonderful world sentiment for a holiday tag--brilliant idea and thanks for the inspiration. My gosh, these tags are wonderful. This is one of the times I can't tell you which is my favorite. The embossing, the layering, the die cuts, the foil - Wonderful job. Wow! I love all these beautiful tags made with Serendipity! There is so much color and inspiration here - -all just gorgeous too! These are wonderful! Love Marybeth's cottage and Vickie's bells! This is a lovely tag and I love the sentiment you chose. Awesome stamp. Those Serendipity stamps and dies are fabulous! I love your sentiment, I know Marybeth has used that one often and I have always loved it! I love your big ornament tag! How gorgeous are all of these!! Each of these tags are unique and beautiful! Wow, lots more inspiration today! I really like your shaped tag with the big bold sentiment. Very pretty tags today. I love how you made a large ornament tag! Lovely tags! It's fun to see the different color combos being used. Awesome tag ideas! Better get going on some myself! Your ornament shaped tag is beautiful, and with a lovely sentiment too! Love all the different looks today--especially the golden angel & your beautiful ornament! Everyone's talent and ideas are just so inspiring! I'm loving the different shaped tags - a change to the normal top corners clipped off...lovely tags and inspiring me to check out my dies. Another amazing tag inspirations, today! Thank you for every day new inspirarions, Tracy! You are awesome! I love this series of posts and am so inspired to start creating my own sets of tags. Thank you. These tags are all so gorgeous!! I love yours, Tracey, and I have that die and sentiment, yeehaw, I'm going to make some, thanks for the idea!! So many beautiful tags. Love the gold angel, the little house. I look forward to your 25 Tags every year! Love Marybeth's little house tag! Such variety. LOVE the bright red house. Thanks for wonderful ideas. Wow factors! Love all the festive feel creations with their unique designing, especially the Angel one! Love them all! More wonderful inspiration...love all of them! Terrific tags. They are great inspiration. tfs! More fabby tag ideas. Love your ornament shaped tag, Tracey. Oh these are all great, love yours with the pop of red. I just live how many different ideas there are. The possibilities are endless and it's only day 6! I love all the inspiration! Tags are so fun to make because they are generally quick and easy with not as much space to fill! I love this series you are doing. So lovely! These tags are more gifts than gift markers -- fantastic! These are all so gorgeous! Love the variety of designs. 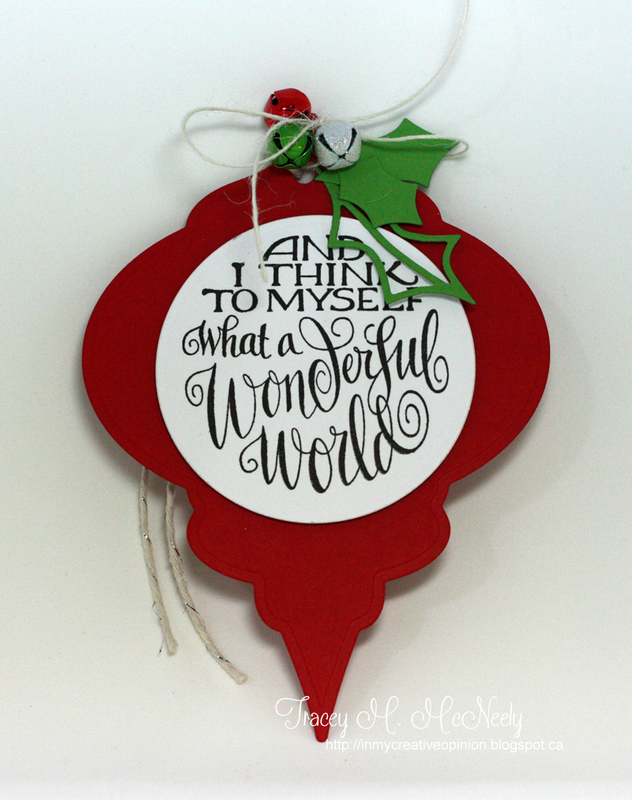 Your ornament shaped tag with that fabulous sentiment is awesome! Beautiful tags. 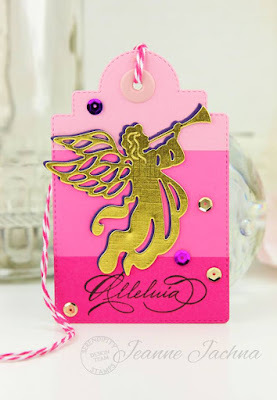 That gold angel is so elegant on the first one... the ornament shaped tag is so pretty! Beautiful, Love your tag with that nice large sentiment! I'm so glad I found this "series" I'm so loving it. Thanks for sharing all this wonderful talent and beautiful tags. Oh, I love your ornament! I have that fantastic Serendipity sentiment, so I may have to CASE this one!! Wonderful event and fantastic inspirations. Enjoying my visit each day. Gorgeous tag, Tracey! My favorite sentiment and your red ornament is stunning! Thanks so much for sharing the team's creations with us...they're all beautiful! Love your ornament die with the sentiment in the middle, Tracey. So simple yet lovely. wow these are all amazing!!! Wow!! Gorgeous tags!! 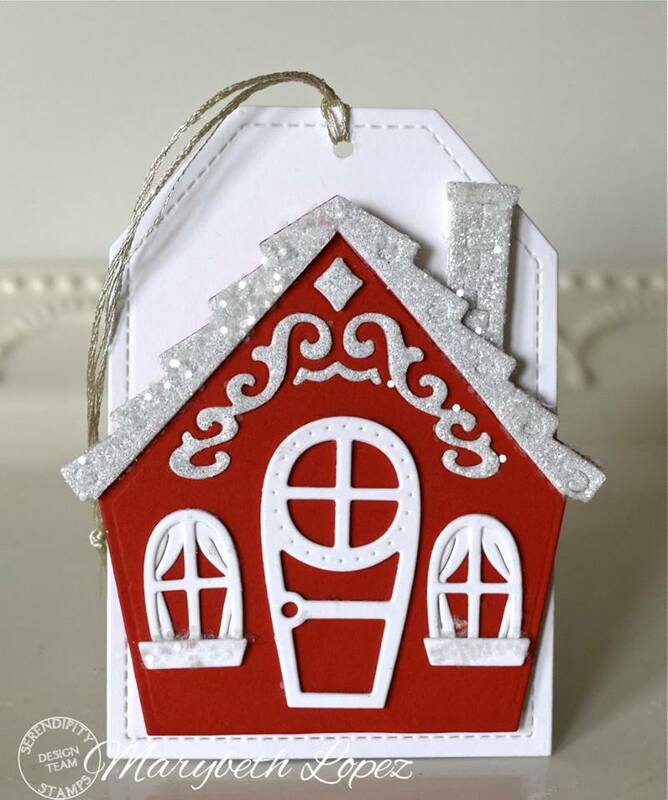 Love your ornament shaped tag. Love your tag series. I learn about new stamp companies and great designers! SUPER CUTE, BEAUTIFUL and ELEGANT tags!!! These are all such sweet tags!! I especially love the ornament one. That sentiment is one of my favorite songs!! Your tag Tracey is as beautiful as all the rest! Great work by everyone. Each little tag is special in its on unique way! Oh my goodness these are all so beautiful and you have used one of my all time favorite sentiments! Oh my another day of gorgeous tags!! I love your tag, the sentiment and the ornament shape, just gorgeous! Thank you for a chance to win! These tags are all beautiful and so detailed!! Lovely tags. All of these gorgeous tags are getting me in the Christmas spirit. Wow, so gorgeous! 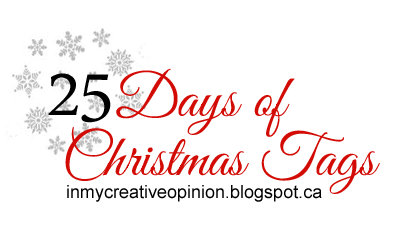 I love, love, love the sentiment (lyric) on your beautiful ornament tag. Wow! Such stunning details all around! Love that sentiment on your ornament, Tracey! Tracey, I'm absolutley smitten by your tag!!! Of course, I love seeing Jeanne and Marybeth's as well. So much beauty today! 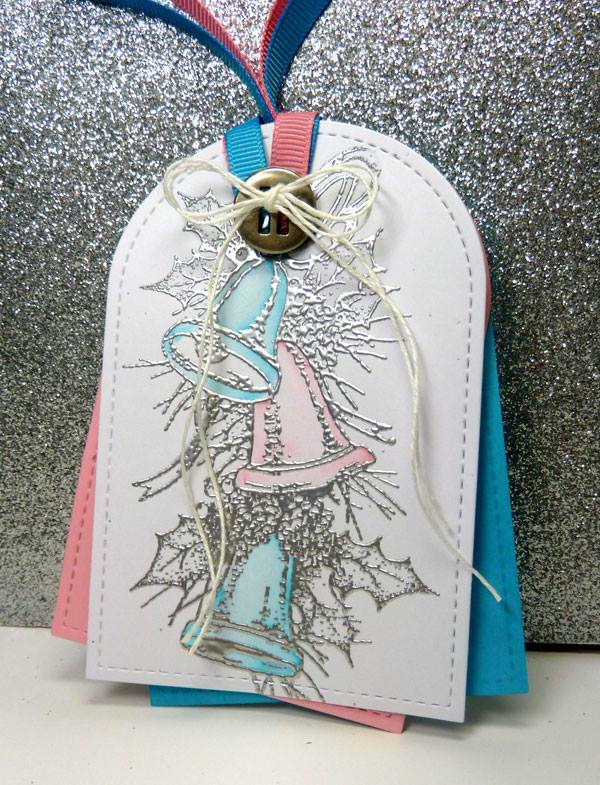 These are wonderful, I'm really loving the simplicity and ease for mass production of that last shaped tag! Beautiful tags! 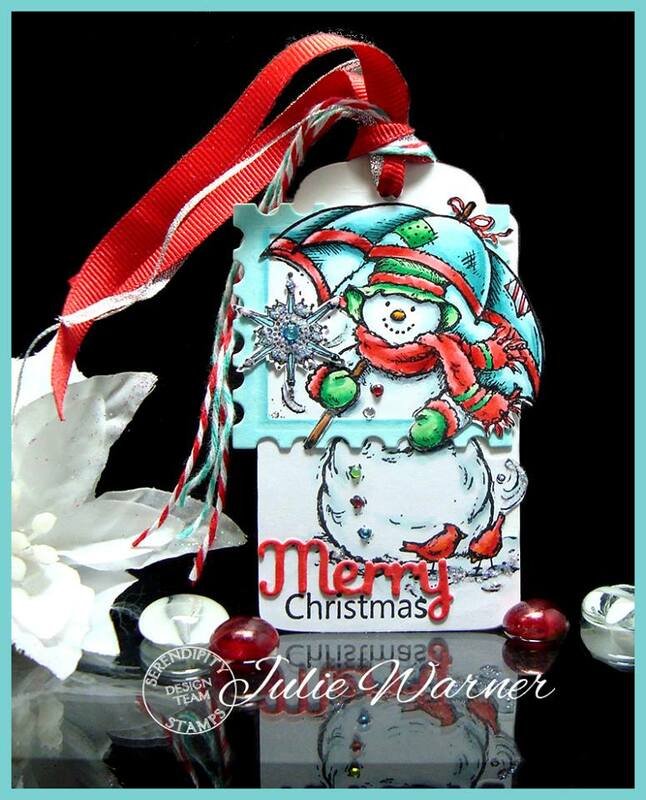 Love the ornament and the silver embossing. Beautiful tags with pretty details! Your red tag is striking, Tracey!Love the sentiment! luv that sentiment on the fancy ornament! these are all so pretty! All of these tags are gorgeous, but I have a soft spot for cute snowmen, so I particularly like that one. Another day of beautiful tags, my fave is the last one with the sentiment in the ornament, LOVE that sentiment and making it a focal point! Wow! This is just getting better and better. Such inspiration! Ok, these tags are so sweet. And I had not heard of Serendipity until just now. Thanks for the introduction! Will check them out! Lovely tags! Thank you for sharing them with us! I didn't think to do a tag with just sentiment till I just looked at your Tracey. I just got that stamp 'and I think to myself' - perfect for Christmas. Thank you for all the great inspiration! I am going to have to check out the pinterest pins to get some more ideas!